Lukashuk V. D., Ali Sameh Ali, Shevtsova O. M., Babyak V. I., Palahniuk N. O. Objective — to study non_invasive methods of detection of H. pylori antigen in stool specimens and anti-H. pylori antibodies in serum for appraisal H. pylori status in children with functional dyspepsia and chronic gastritis. Materials and methods. 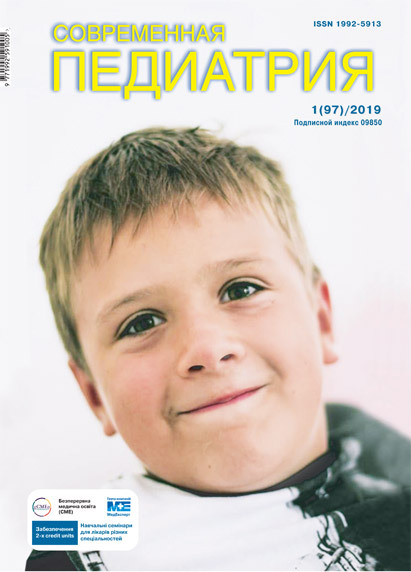 Sixty children with H. pylori associated functional dyspepsia (I group) and 83 children with H. pylori associated chronic gastritis (II group) were examined. All patients were from 6 to 17 years of age. For the diagnosis of H. pylori infection, histological and bacterioscopic methods, three serological tests, as well as three tests for the detection of H. pylori anti-gen in stool specimens, were performed in all patients. The stool tests included PCR, the laboratory kits «CITO TEST — H. pylori Ag» by SerTest Biotec, S.L. and «CITO TEST — H. pylori Ag» by Pharmasco. The stool tests were also used to assess the post-eradication efficacy of anti-H. pylori therapy. Results. In the first group, serum IgG anti-CagA antibodies were detected: 40 children had H. pylori CagA«+» status, and 20 children had H. pylori CagA«-» status. In the second group, 58 children had H. pylori CagA«+» status, and 25 children had H. pylori CagA«-» status. The above-mentioned tests for the detection of serum anti-CagA antibodies and H. pylori antigen in stool specimens showed high sensitivity and specificity. Based on the results of these non-invasive methods it is possible to define the H. pylori status of a child (H. pylori «+» or H. pylori«-» and H. pylori CagA«+» or H. pylori CagA«-»), the latter two can serve as predictors of the efficacy of anti-H. pylori therapy. Conclusions. The comparative study of tests for the detection of H. pylori antigen in stool specimens of children with functional dyspepsia and chronic gastritis showed high sensitivity and specificity. Serological tests and stool antigen tests are interchangeable and can complement each other. It is recommended to define in a particular patient their H. pylori status or H. pylori CagA status on the basis of the results of non-invasive methods. The H. pylori CagA«+» status of children can serve as a criterion for initiation of anti-H. pylori therapy. Key words: functional dyspepsia, chronic gastritis, H. pylori infection, stool antigen test, serum anti-H. pylori antibodies, H. pylori CagA status, children. 1. Abaturov O, Herasymenko OM. (2014). Molekulyarnі osoblyvostі rozvytku zapalennya slyzovoii obolonky shlunka u dіtey z khelіkobakternoyu іnfektsіyeyu, asotsyiovanoyu z CagA(+) shtamamy H. pylori. Gastroenterologіya. 1. 2. Beketova GV. (2009). Khronіchnі gastroduodenіty v dіtey і pіdlіtkіv. 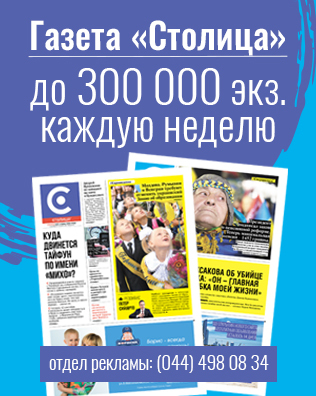 Sіmeyna medytsyna. 2: 52-57. 3. Bobrova VІ, P’yankova OV, Nadtochіy NІ. (2010). Epіdemіologіchnі aspekty perebіgu khronіchnoii gastroduodenal'noii patologii u dіtey. Suchasna gastroenterologіya. 2: 33-36. 4. Volosovets' OP, Saltanova SD. (2012). Vplyv provedennya antigelіkobakternoii terapii H. pylori-іnfіkovanym bat'kam na rіven' reіnfektsіyi H. pylori u dіtey z dosyagnutoyu eradykatsіyeyu. Zdorov'ye rebenka. 2(37): 25-27. 5. Maev IV, Kucheryavyy DN, Andreev DN. (2013). Prychyny neeffektyvnosti antykhelikobakternoyi terapiyi. Ros zhurn gastroenterol, gepatol, koloproktol. 6(23): 62-72. 6. Maydannik VG. (2016). Rims'kі kriterії IV (2016): shcho novogo? Mіzhnarodniy zhurnal pedіatrіyi, akusherstva ta gіnekologіyi. 10; 1: 8-18. 7. Saltanova SD. (2012). Dіagnostychna efektyvnіst' neіnvazyvnykh metodіv vyznachennya Helicobacter pylori u dіtey. Іnfektsіynі khvoroby. 2(68): 59-63. 17. Malfertheiner P, Megraud F, O’Morain CA et al. (2012). European Helicobacter Study Group. Management of Helicobacter pylori infection — the Maastricht IV. Florence Consensus Report. Gut. 61(5).